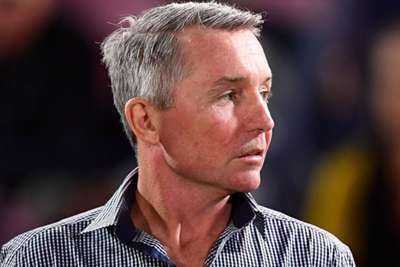 The North Queensland Cowboys re-signed Paul Green on a three-year deal, keeping the head coach at the club until the end of 2021. Green has been in charge of the Cowboys since 2014, leading the club to two NRL Grand Finals, including their success in 2015. While the Cowboys have made a poor start to this season with just one win in six, the 45-year-old Green was given a new deal amid reported interest from the Brisbane Broncos. "I am very happy to have my future sorted and even happier my future is with the Cowboys," he said in a statement on Monday. "My family is really settled here, my wife hails from the region and we are all really pleased to be able to continue to be part of the North Queensland community. "The future looks very bright for our club as we usher in the next generation of talent and prepare for a move to our new home stadium from 2020. "There is no question it is an extremely exciting time to be part of the Cowboys as we charge ahead into a new era." Cowboys chairman Laurence Lancini was delighted the club managed to retain Green. "I am thrilled to be able to announce to Cowboys members, fans and partners that Paul will remain head coach of this club for at least the next three seasons," he said. "Paul has been deeply invested in the North Queensland community during both his tenure as a player and now as a coach and understands how important the club and the region are to each other."